American Standard has a proven track record of innovation and quality that dates back to the 19th century. Their American Standard Platinum ZM Heritage 20 carries on the tradition as one of the most efficient heat pumps currently offered. There’s a lot to like with this Energy Star appliance as this letter from Clint in Reno, Nevada points out. He offers the American Standard Platinum ZM Heritage 20 heat pump price and other details. American Standard Platinum ZM Heritage 20, 3 ton / 36,000 Btu heat pump with air handler, $7,999. Available in 2, 3, 4, and 5 ton units with 12K Btu of heating per ton. AccuLink communicating system for total HVAC coordination and optimal efficiency. Uses primary condenser to handle normal cooling and a second condenser for very hot weather. Variable speed fan motor is very quiet and distributes air very evenly. Uses R410A refrigerant which won’t harm the environment or deplete the ozone layer. Fan controls humidity when cooling by running more consistently. Thanks for the post Clint. 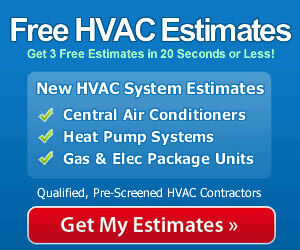 We appreciate all the HVAC prices we get and are happy to pass them along. When you purchase a new heat pump it’s always a good idea to have it professionally installed rather than to try and do it yourself. Hiring a qualified contractor will ensure proper installation and validate the warranty. Plus, you’ll have the confidence that you are getting the maximum performance and energy savings from your system – and it will show up on your energy bill from the very first month. Quality installation is the essential second half of a winning equation along with a great unit like the American Standard Platinum ZM Heritage 20 heat pump.